Prescription Drugs are becoming highly available causing the substance abuse to increase in the United States. In 2014, 15 million people used prescription drugs for non-medical purposes according to the Substance Abuse and Mental Health Services Administration. It’s an ever-growing problem that many of the drug abusers don’t see as dangerous but in fact actually is. Just because it’s prescribed by a doctor doesn’t necessarily mean it’s safe as some users are too generous with their dosage for it’s sensational effects. There are many factors as to why some people abuse prescription medication. Some reasons include family history of addiction, suffering from trauma, or even mental disorders like depression and anxiety. These factors aren’t a definite sign that all of those pertaining to those factors abuse drugs, as some may never choose to take prescription medications. The tolerance to prescription pills can increase overtime, so users may become addicted without even realizing it because they’ve become immune and need a higher dosage to feel the effects. Aside from those risk factors there are other signs to be on the lookout for in their behavioral changes. Some will try to hide their drug addiction but might not be able to hide the signs. Behavioral changes to watch for include irritable without a cause, skip work or school and have a lack of performance in them, act reckless and angry, asking for money or obtaining money from an unknown source, and losing interest in their personal appearance and things/activities they once enjoyed. Not every drug abuser is drawn to the same type of prescription drug; therefore, there are some other physical symptoms to look for when suspecting the abuse of prescription drugs. One of the most common types of prescription drugs are Opioid Pain Relievers. Some examples of opioids are hydrocodone, oxycodone, codeine, morphine, and fentanyl. They are used to treat various conditions like cancer and surgery recovery. Due to the effect of feeling very happy and super relaxed these drugs are often abused. Common physical symptoms of opioid abuse include constricted pupils, droopy eyes, dry mouth, lowered blood pressure, lack of coordination, sleep deprivation, nausea, vomiting, slow or slurred speech, dry itchy skin, dizziness, and weakness. Sleep aids, sedatives, and tranquilizers are all types of depressants. They are often used to treat conditions like anxiety, panic attacks, and other sleep disorders. When abusing these types of prescription drugs it can often produce a feeling of intense excitement and happiness. Symptoms of depressant drug abuse to watch for include memory problems, slowed reflexes, slurred speech, lowered blood pressure, impaired judgement, dizziness, lack of coordination, and a decreased attention span. Attention deficit disorder or attention deficit hyperactivity disorder (ADD or ADHD), narcolepsy, and obesity are often treated with stimulants. They make the user more alert by sending messages between the brain and the body to move faster, so they make them feel more active and alert. A couple common medications are Adderall, and Ritalin. Some physical symptoms of stimulant abuse include increased blood pressure and heart rate, dilated pupils, anxiety, shaking, sweating, restlessness, loss of appetite, weight loss, aggressiveness, paranoia, high body temperature, memory loss, and problems thinking clearly. Addiction is a mental illness, and it is very important to recognize it and address it as soon as possible. The first step towards the road to recovery is to admit they have a problem and take responsibility for their actions. It is important to express your concerns in a non-judgmental way as threats, preaching, and punishment may only increase their drug abuse because of the shame and guilt. After admitting they have a problem they can receive treatment by going through drug rehab. Drug rehab varies depending on the type of treatment. There are short term options including detox, supportive care, and therapy. However, studies show that staying in rehab long term reduces the rates of relapses. Detoxification can take seven to ten days on average, but more serious addictive cases may require a longer stay. In order to reach sobriety it is crucial to flush the body of all of the drugs from the body. 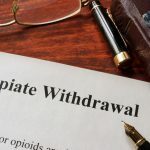 This step can be frightening for the patient going through detoxification because they will likely experience very uncomfortable withdrawal symptoms. It’s best to go through detoxification under the supervision of trained medical professionals to make sure they don’t use again while trying to detox. After the detoxification stage patients may go through substance abuse treatment which varies in length depending on the severity. It can last from as little as thirty days up to a year. Therapy and counseling are crucial factors in this stage in hopes of replacing habits of bad behavior with healthy positive behavior. Once the patient is out of rehab doesn’t mean the treatment for recovery is over. It is important to keep up on the aftercare so a relapse doesn’t occur. Medication and self-help programs, or staying in a sober house are all ways of aftercare to try and prevent a relapse.